Collaboration & communication combined. 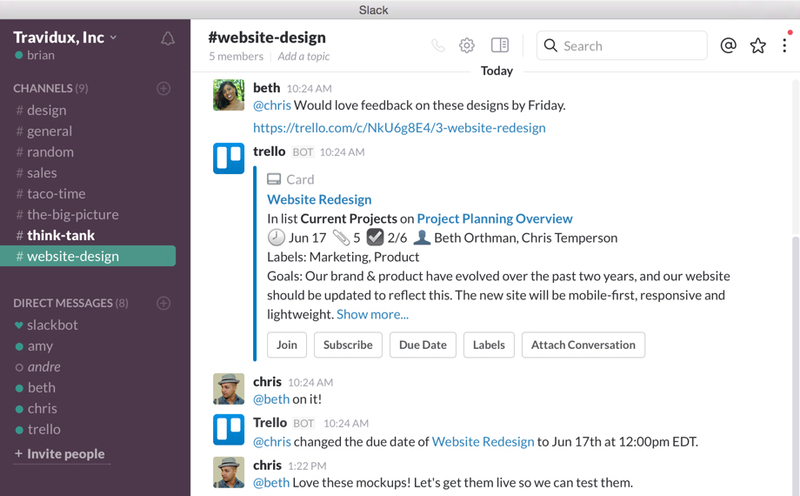 Link your Slack and Trello teams to build the ultimate productivity powerhouse. 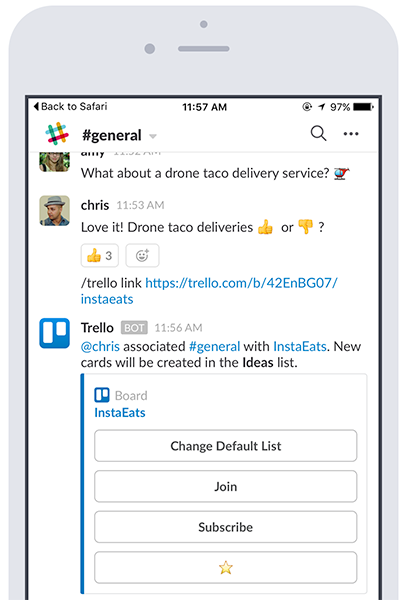 Add new Trello cards to boards directly from Slack without needing to hop through the app switching hoop. 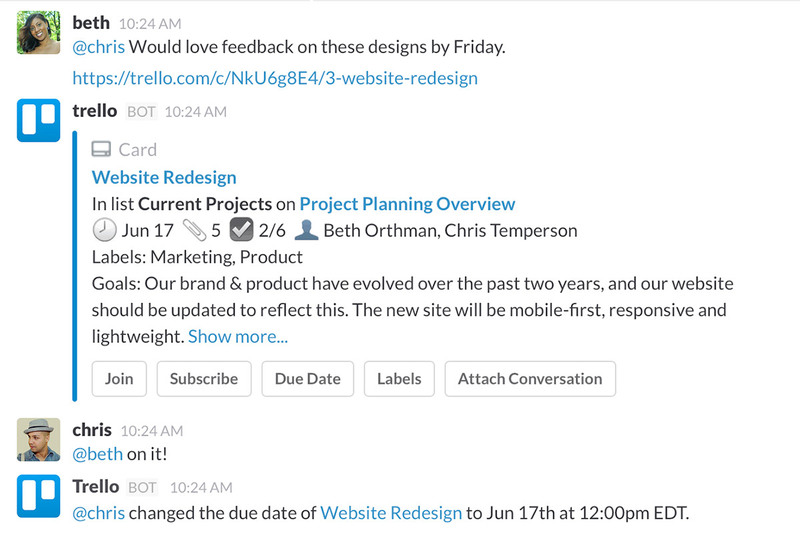 Paste a Trello link into a Slack channel to automatically display key insights like members, descriptions, comments, and more. 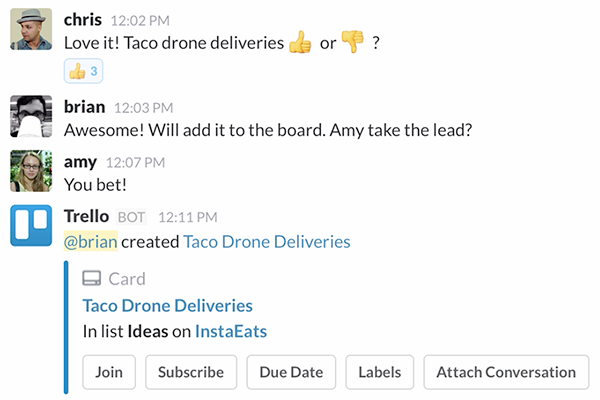 Attach conversations from Slack to Trello cards, change due dates, join cards & boards, and subscribe to cards.